Teacher of the Year Learning Continues in 2015! Today was one of my favorite days of the year. 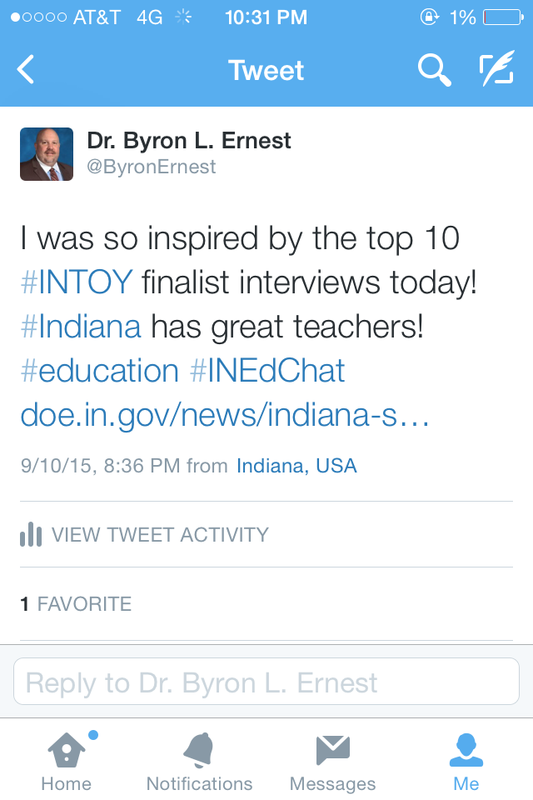 As an Indiana Teacher of the Year, I was part of the selection committee for the 2015 Indiana Teacher of the Year. Today we held the interviews for the top 10 finalists. As always, I was inspired! Click here to see the listing of this year’s top 10. I am so inspired each year by how great these teachers are and come away refreshed and rejuvenated as a school leader. During the interview I take copious notes to inform our decision making at the end of the day, but also take personal notes that I use for my own professional growth. 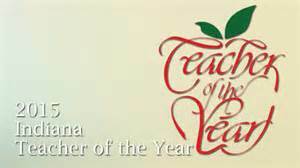 Last year I wrote a post entitled Teacher of the Year Learning and this year I thought I would do the same. For this year’s post I am going to provide you a bullet point list of all the comments, phrases, and learning that I jotted down today. What steps should be taken to reach the goals? Need I say more? 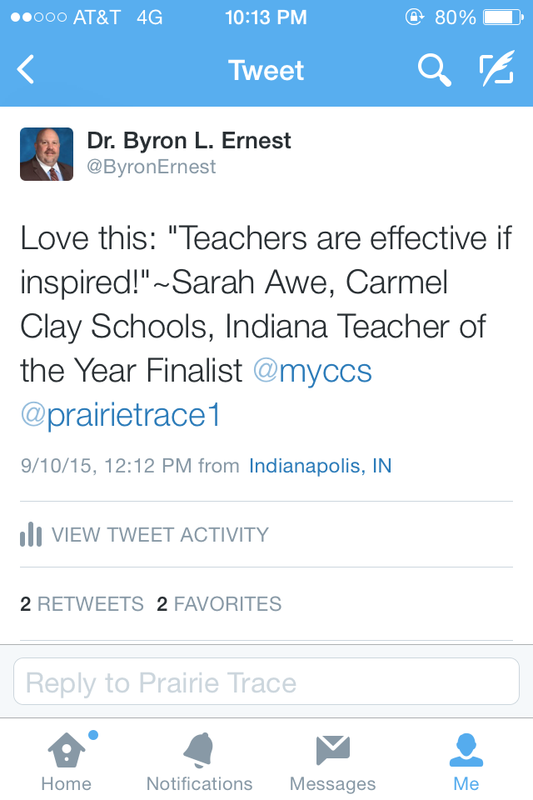 Again, congratulations to this year’s Indiana Teacher of the Year finalists and thanks for inspiring me today!